New format to cut into half-pages! 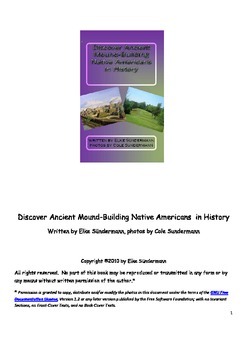 This informational text ADVANCED level reader gives information on ancient mound-building tribes that lived in midwest United States. Full color photos and large font enhance reading experience. 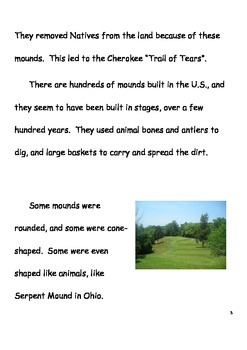 Can be used in cooperative learning groups and guided reading groups.